Trinity launched 27 Trinity Electives on 27th March 2019 - an initiative led by Prof Declan O'Sullivan from the School of Computer Science and Statistics and Prof Aine Kelly from the Trinity Institute of Neurosciences. 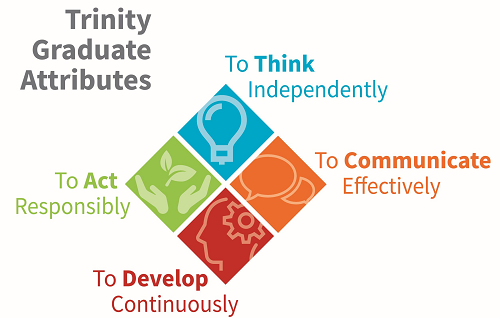 Trinity Electives are stand-alone 5 ECTS module outside of an undergraduate student's core discipline that allow them engage with Trinity’s ground-breaking research, explore languages and cultures, or address key societal challenges. Academics from the School of Computer Science and Statistics have been instrumental in driving a number of the key electives being offered or developed as part of the programme. Dr Stephen Farrell: What does the Internet do for me? Through engaging in these electives students will be provided with opportunities to develop and evidence achievement of a range of graduate attributes that support their academic growth.